Trying to Attract Leads Through Your Blog? Make sure you’re sending the right message to the right people. Sometimes we make things more difficult than they need to be. Blogging is hard work, no doubt, and every “expert” you encounter has a different set of suggestions that’s sure to bring in new business. But where your blog is concerned, you’re the expert. You’re the only one who knows the unique history and defining characteristics of your company. And that information – combined with your goals for your company and your social media strategy – can help you target the audience you want and attract leads. Let’s say you’re an accountant who has a reasonably successful solo practice. But your goal is to be a bigger, more successful firm with a couple of junior partners. You need new clients to get there. How did you attract your existing clients? Go through your contact database and make a list. 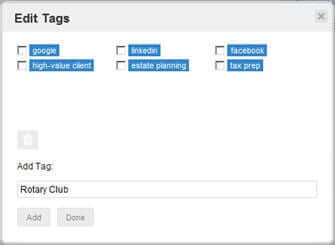 If you’re already using Nimble, create a tag for each way you acquired each individual or company and identify the most successful methods. What are your current clients’ pain points? What do you always, always have to fix in tax returns? When you examine bookkeeping records and reports, where are the most common errors? Comb your social media networks and find the most commonly-lodged complaints about accounting tasks. Who would your ideal clients be? If you’re living at your office every March and April and playing a lot of Angry Birds in the summer, your lopsided client list contains too much last-minute tax prep business and not enough year-round financial planning. Again, in Nimble, compile a list of tags for the types of work you do for clients. Now create a new set of tags for your wish list, even if you can’t assign them to anyone yet. You might even create a tag for existing clients whose needs and level of engagement most match your dream clients. You can apply similar thinking to your own profession. But don’t expect to sit down and do all of this in an evening. Before you start trying to attract more leads in anticipation of significant business growth, make sure that your online content plan is consistent with #3. Once you’ve finished these exercises, you’ll have a great deal of fodder for future content. And you’ve made Nimble a bit smarter, able to better help you characterize where you are and where you want to be. So use that knowledge when you’re racking your brain, trying to come up with five ideas for next week’s blog posts. You don’t have to plunge right into writing your entries. Just come up with some titles first, keeping in mind all of that advice you’ve probably gotten about keywords and SEO, to maximize your chances of being found in Google searches. 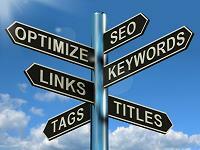 Your title is the most critical element of your blog posts. It should address a common issue, and be descriptive and succinct. What did you learn by answering those questions, and how might titles grow from that introspection? Here are some examples. You’d really like to get more monthly retainers, clients who will provide regular business instead of one-offs. Try Understand Your Financial Status in 30 Minutes a Month: Here’s How. Some of your more active clients want to do more of their accounting tasks online. Prepare a blog post titled 5 Benefits of Cloud-Based Accounting: Work Anywhere, Anytime. You may have worked through some of these issues when you developed your blog strategy and goals, but it doesn’t hurt to revisit your messaging occasionally and keep brightening up your posts. 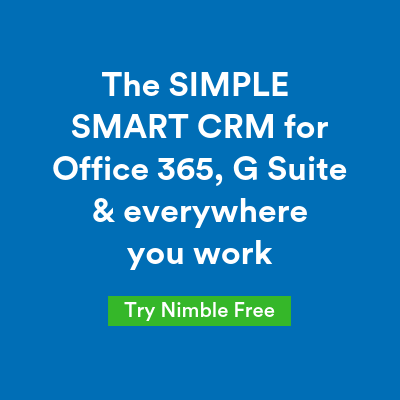 And if you keep updating Nimble – not just by tagging contacts, but by listening to your clients’ and prospects’ social streams and developing relationships – you’ll move closer to your desire for growth. Previous Come Meet the Nimble Team at Inbound 2012…and enter to win a free iPad!